Ford has showcased an updated version of the EcoSport compact SUV at the 2015 Geneva Auto Show which now comes with an optional tailgate mounted spare wheel. This move stems from the fact that the tailgate mounted spare wheel is perceived as utilitarian by European customers and has hurt the EcoSport’s sales in the region. Other changes have also been made to the vehicle including dynamic and mechanical changes. The updated 2015 Ford EcoSport will be available in showrooms across Europe very soon and the company will be hoping the changes made to the car will enhance its appeal and increase sales. 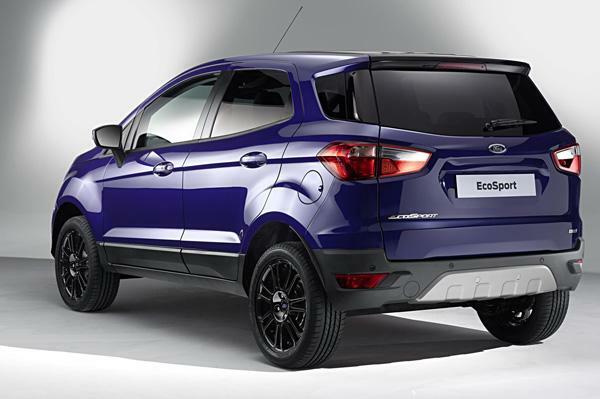 The biggest change that can be seen on the updated 2015 Ford EcoSport is the absence of a tailgate mounted spare wheel. However, this feature is optional as customers can choose between a tailgate with the spare wheel or without it. The version without the rear mounted spare wheel gets a slightly different tailgate now, with the number plate placed right in the middle and a faux skid plate for the rear bumper. Showcased in the S guise, the car also features unique deep impact blue paint scheme with a blacked out roof and wing mirror caps. Other features include 17 inch all black alloys, heated windscreen, wing mirrors and front seats. Minor revisions have been made to the instrument cluster which gets chrome surrounds and the power window switches now get chrome tips. Dynamically, Ford has carried out a few changes in order to order to improve ride and handling, which so another aspect the Europeans were not very fond of. The spring and damper setting have been revised and the ride height has been decreased by 10mm. An updated ESP and power steering setup are also on the list of changes made to the updated 2015 Ford EcoSport. As popular as it might be in India, the Ford EcoSport hasn’t found many buyers in Europe and its chief rival, the Renault Captur has totally blown it away in terms of sales. The changes made by Ford do help in shedding a bit of the utilitarian feel of the EcoSport, but it still might find it hard to attract buyers who prefer the soft roader looks of the Captur. And we might add that Ford does not have any plans to bring these updates to India at the moment. 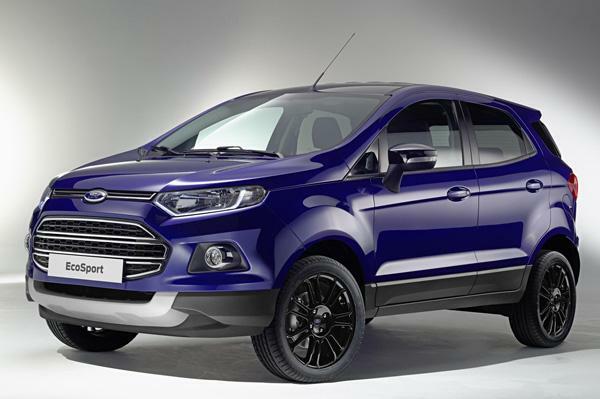 Would you like to see the European spec version of the 2015 Ford EcoSport in India? Do let us know in the comments section below.